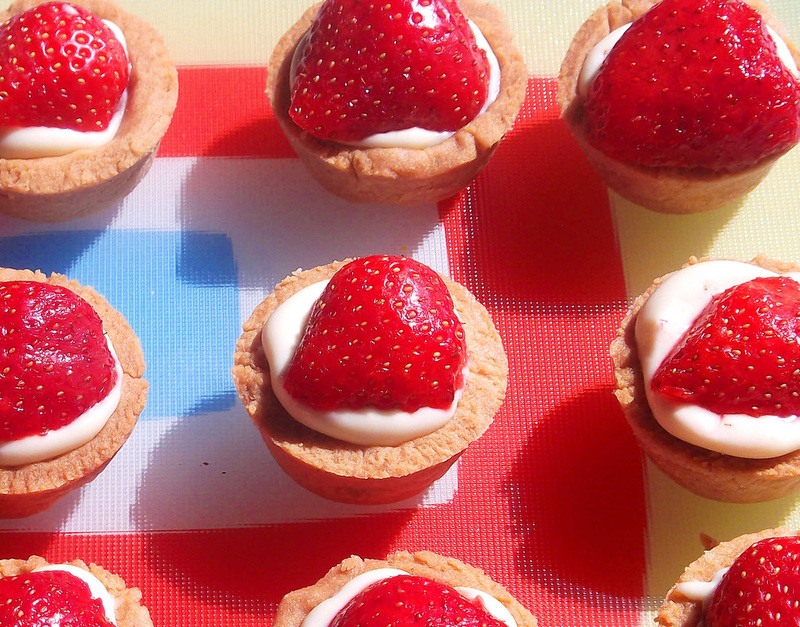 You know what the filling for these tiny, pop-in-your-mouth delights - a simple mixture of mascarpone, condensed milk and vanilla - tasted like to me? The Mr Whippy ice creams of my childhood summers. But without all the thickeners, stabilisers, emulsifiers, and E numbers. You can buy ready-made sweet shortcrust pastry (Jus-Roll for example), but I've never seen it in any of my local supermarkets. You'll need a non-stick mini-muffin tray like this one. To make the pastry: spoon the flour and sugar into a bowl, add a pinch of salt and mix. Add the butter and rub into the flour with your fingers. Add the egg/water and mix to make a smooth pastry. Form into a ball and chill for 20 minutes or so. Roll out as thin as you dare (about 3-5mm). 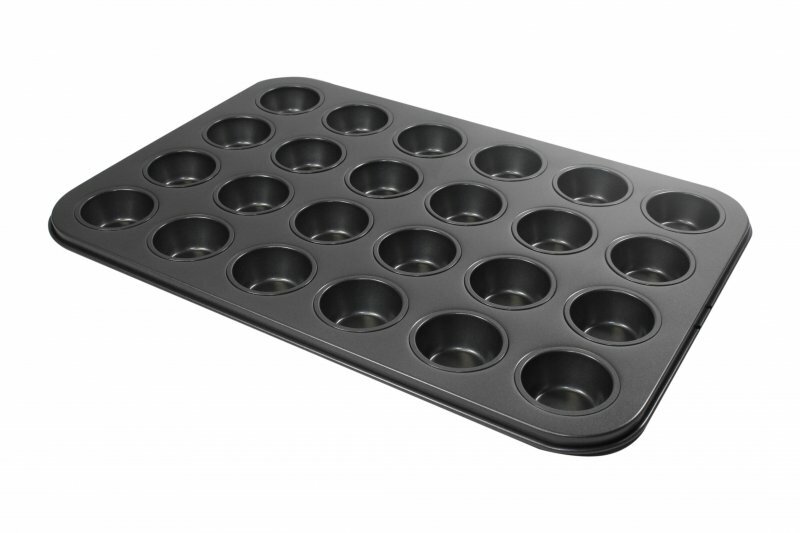 Now, assuming you are using a mini-muffin tray with the same size moulds as mine (approx 45mm diameter), cut the pastry into 16 x 60mm diameter rounds with a suitable cup/glass. Press gently into the moulds and trim the edges off with a sharp knife. Place in the freezer for 10 minutes to firm up the pastry. Bake in a 180c/160c fan oven for 10 minutes. Remove from the oven and check to see if any of the pastry shells are puffing up (you want the shells to be as thin as possible). If so, press the pastry back against the sides of the moulds with the back of a teaspoon. Return to the oven for a further 15 minutes (checking how they're doing after 10 minutes). Remove from the oven and allow the pastry shells to cool completely in the tray. Beat the mascarpone, condensed milk and vanilla essence together in a small bowl. Remove the pastry shells from the tray and spoon/pipe this mixture into the shells. Top with the strawberry halves.